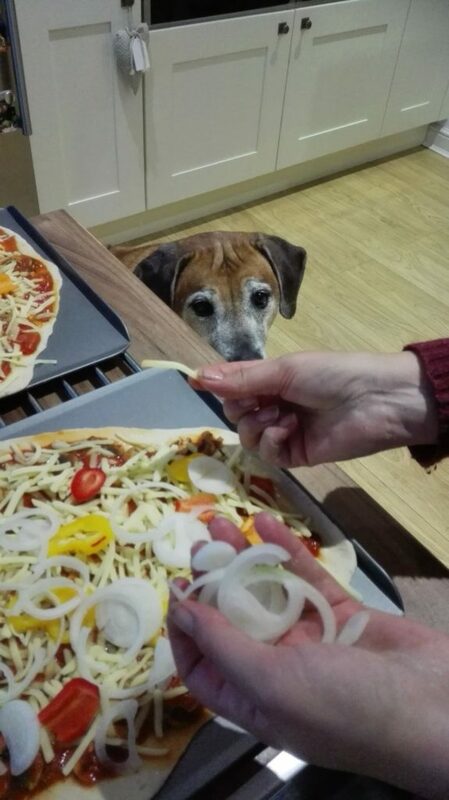 Meet Luigi, a pizza addicted Rhodesian Ridgeback that bears a striking resemblance to Louis. Louis just keeping a watchful eye on proceedings. Friday is normally home made pizza night which entails “Luigi” making regular appearances in the kitchen on the off chance that the cheese is about to come out. Once that happens he won’t move until he’s helped distribute it along with any suitable toppings.